The new ecosystem plan prioritizes climate change and local and traditional knowledge. Federal fisheries managers have approved a new Bering Sea ecosystem plan that officials say will help guide decisions as conditions rapidly change in the waters that support some of the United States’ biggest commercial seafood harvests. The Bering Sea Fishery Ecosystem Plan was approved Friday by the North Pacific Fishery Management Council, which met for more than a week in Anchorage to set harvest quotas and other policies for the coming year. The Bering Sea ecosystem plan elevates climate change and local and traditional knowledge as its highest priorities. The plan is not intended as a new layer of review but as a “connector” that ensures that management of the Bering Sea is conducted in a holistic manner and not just in a species-by-species manner, said Diana Evans, the council’s deputy director. Adoption of the fisheries ecosystem plan, or FEP, is timely, said council member Bill Tweit, a special assistant with the Washington Department of Fish and Wildlife. Over the past year, the Bering Sea had record-low ice extent; for much of the past winter, ice was almost completely absent. Ice is similarly low so far this winter. The Bering Sea’s shift from an ice-dominated habitat to one with very little ice even in winter, Tweit said, is affecting marine life and the people in Bering Sea communities. The lack of ice is connected to the near-absence of the “cold pool,” a section of water that normally separates the northern part of the Bering from the southern part. The cold pool is normally created with the addition of salt that is expelled from water as it freezes. “When you lose sea ice, you also lose the cold pool,” Tweit said. A presentation by National Oceanic and Atmospheric Administration scientists summarized a litany of odd occurrences in the past year in the Bering Sea, particularly in the northern area. Along with persistently high temperatures, the record-low ice extent and lack of a cold pool, the past year’s events included die-offs of seabirds and seals in the northern Bering Sea, they in their status report. NOAA received reports of about 50 dead seals, mostly bearded seals, on the beaches of St. Lawrence Island in the Bering Strait, and another 48 bearded, ringed and spotted seals found beached near Wales, a mainland community at the strait. Those beached seals had poor body condition and empty stomachs. Copepods, the tiny creatures at the base of the food web, were dominated by a low-lipid species rather than the high-fat species that provides more nutrition for fish. Though temperatures are up and fish biomass is down in the Bering Sea, the council kept the total allowable groundfish harvests at the same levels in 2019 and 2020 as in this year — 2 million metric tons. That total allowable catch, or TAC, falls well below levels that scientists said would be considered overfishing. However, the 2019 “allowable biological catch,” or ABC, was determined to be about 11 percent lower than it was this year, and the 2020 ABC was determined to be more than 20 percent below this year’s level. The Bering Sea harvest is dominated by Alaska pollock; the Bering Sea catch of Alaska pollock catch is, by far, the largest single-species seafood harvest in the United States. Pollock, a low-fat whitefish, is ubiquitous in grocery stores and in restaurants, where it is sold as fillets, as patties and as fish sticks and nuggets. Pollock is also the base material for surimi, a protein paste that is used to form imitation crab meat, imitation lobster meat and other food items. Other commercially important groundfish harvested in the Bering Sea and managed by the council include Pacific cod, sablefish and various types of rockfish. 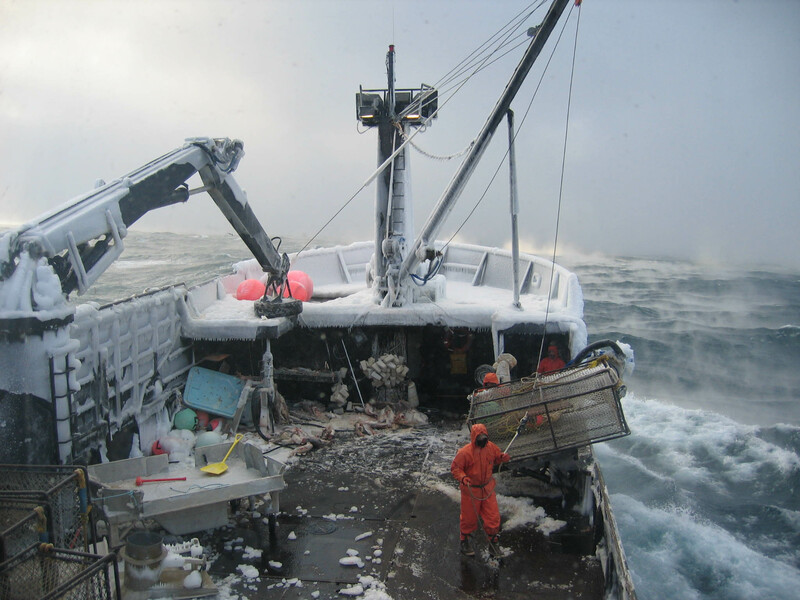 The council also manages Bering Sea crab harvests; the 2019 crab quotas were set in October.